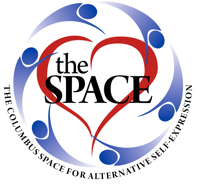 Columbus Space for Alternative Self Expression - April Spanking Party! If you’re looking for more information regarding who will be attending, or are looking for an opportunity to network pre-party, we recommend joining our Fetlife group for Columbus Spankers!. Don't forget! On that same day is our spanking intensive and meet & greet/dinner (info sent to everyone who pre-registers)!